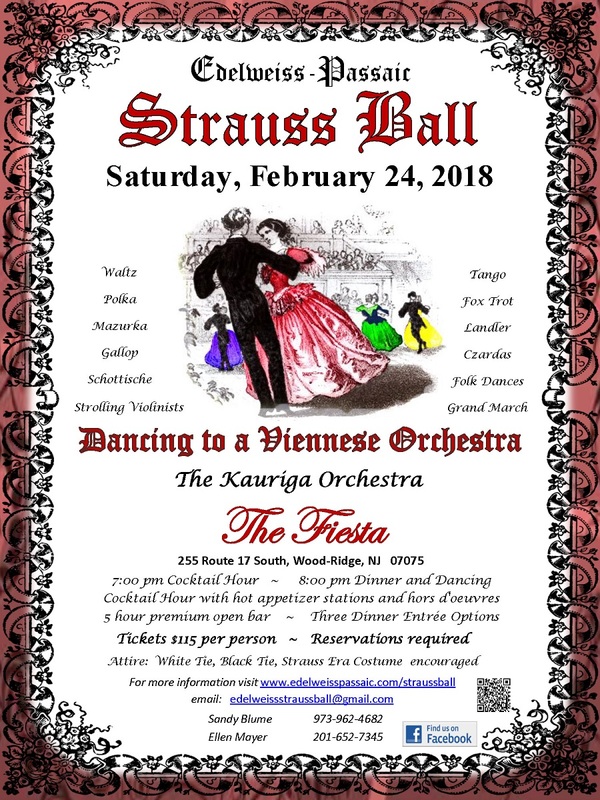 Time to put your finest clothes on and dance the night away at Edelweiss-Passaic's annual Strauss Ball. The date is Saturday, Feb. 24, in Wood Ridge, NJ. Take a look at the flyer for more information.